BMI, or body mass index, is a measurement used to determine your level of fat in the context of your weight and height. The numbers often are used to determine whether you are obese or overweight. The measure of your body fat is based on your weight and height and does not include bone structure, which can skew the results. BMI calculations often list big-boned or muscular individuals as obese, notes the Harvard School of Public Health. Bone and muscle are denser than fat, making people with denser bones and more muscles weigh more. An athlete with high bone density and developed muscles may have a high body mass index but still not be overweight or obese. A BMI calculation that takes into account your bone and muscle development is most accurate when you're in your 20s. According to the Harvard School of Public Health, adults over 30 rarely add significant bone and muscle weight. Weight gain after age 30 most often is due to fat and is reflected most accurately by the BMI charts that rely on your current weight and height. Because the standard body mass index tests do not take into account the bone development of growing children, a better way to measure fat on a child is through neck measurements, according to a study published in "Pediatrics." 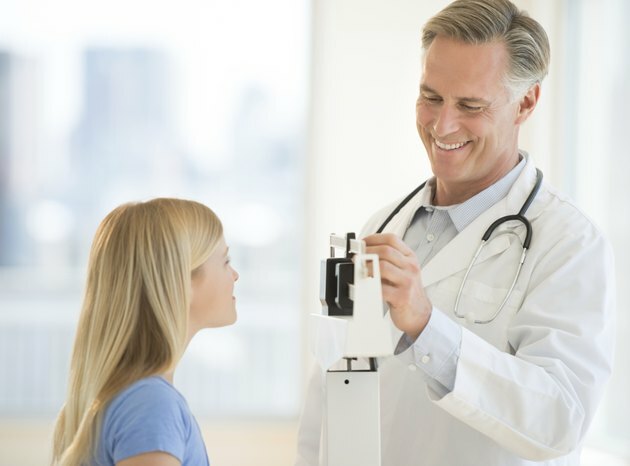 Relying on the BMI, pediatricians then must take into account the bone structure of the child to make an accurate assessment of childhood obesity. Neck size measurements also are easy to take and compare with the average neck size of children who are the same age. Neck measurements rely on bone structure and fat to best determine and predict a healthy growth weight for your child. The body mass index should be considered when looking at your overall health and taken into proper perspective. BMI calculators are widely available online, but if you'd prefer to do the calculation yourself, divide your weight by the number of inches that make up your height. Take that final number and multiply it by 703. The resulting number is your body mass index. Ranges for obesity allow you to consider your bone structure and muscle development. A BMI between 18.5 and 24.9 reflects a normal weight. Using the numbers as a guide, you should take into consideration your age as well as your bone structure, because your bones becomes less dense and muscles tend to atrophy as you age. Keep in mind that BMI may underestimate your body fat levels if you are over 50 and may overestimate your body fat composition if you are athletic and muscular.